The University of Utah has partnered with Nelnet to offer monthly auto-pay payment plan options for Tuition, and Housing charges, combined. All payment plans will only be offered online through your Campus Information System (CIS), and will no longer be processed at the tuition windows. Students will be able to sign up for a payment plan using either a credit/debit card, or a checking/savings account. Monthly payments will automatically be deducted from a checking/savings account, or automatically charged to a credit/debit card. There is an initial one-time application fee of $35, per payment plan. Payment Plans are only meant to hold a student’s classes and allow the student more time to pay tuition and housing charges. Students on a payment plan will have a transcript and diploma hold placed on their account after the tuition deadline, until the balance is paid in full. Payment Plan enrollment for Summer 2019 opens May 1st, 2019. The Due date for each payment will be the 22nd of each month, unless those days fall on a weekend or holiday, in which case the due date would be the following business day. As per your agreement with Nelnet, if your payment fails, Nelnet will charge a $30.00 failed payment fee and retry the payment automatically on the 7th of the following month. If the retry attempt fails the payment plan will be terminated, a $60.00 payment plan late fee will be assessed, and a hold will be placed on further registration until the balance is paid in full. Please estimate your payment plan as closely as possible to your actual tuition and housing charges as periodic re-balancing will occur to either increase or decrease your payment amount to reflect your actual charges. Please be aware that any payment plans that will result in a balance due at the conclusion of the payment plan, may have a hold placed on future registration. A down payment of one third of the total amount due along with the application fee will be required when you enroll. Please be aware that if your down payment fails, your payment plan will be cancelled immediately, you may be assessed a late fee, and your classes could be dropped. – The final two installments will be automatically deducted on the 22nd of June and July. A down payment of one fourth of the total amount due along with the application fee will be required when you enroll. Please be aware that if your down payment fails, your payment plan will be cancelled immediately, you may be assessed a late fee, and your classes could be dropped. – Installments will be deducted monthly on the 22nd of September, October, and November. Participants of the payment plan are required to sign up and pay an application fee of $35.00 online through CIS. After logging into CIS, click on the “Tuition & Loans” tile. 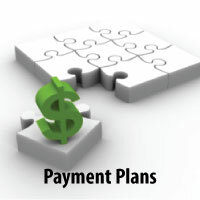 Then select the “Set up payment plan” link. The payment plan options are only available online. You may pay tuition and housing in full online through CIS, or in-person at the Income Accounting & Student Loan Services office, room 165 Student Services building. Use the Tuition Estimator, and access HRE Rate information, to estimate the payment plan amount before tuition calculates, and housing fees are assessed on May 1st, 2019 for Summer 2019. Any account paid in full by Financial Aid, will cause the payment plan to be automatically cancelled. Any tuition account that does not have tuition charges because there is no registration will automatically have the payment plan cancelled. Financial Aid, class drops or changes, or any other type of payment or credit will be credited toward your tuition balance just as they normally would. If you have HRE charges, the remaining credit will be applied to that balance before a refund is issued. Plans will be adjusted to cover increases for added hours and any additional charges. A failed payment will be assessed a $30.00 fee by Nelnet. Failed payments will automatically be retried on the 7th of the following month. If the retry attempt fails, this will result in a cancellation of the payment plan agreement. Cancelled payment plans will cause the balance to be due immediately, a registration hold will also be placed on the student’s account, and a late fee of $60.00 will be assessed. Further collection efforts will occur on any unpaid balance, including referral to a collection agency, and state tax refund garnishment. Please call Income Accounting and Student Loan Services at (801) 581-7344.